Ragdoll kittens for sale in Florida by Ragdoll Kittens Divine. Specializing in suburban family home raised Genuine Ragdoll TICA parented kittens with multiple Supreme Grand Champion bloodlines and at least five generation certified pedigrees raised with my family of five children. Always a home hobby breeder, never a business with ONLY Cats and Kittens that are Genuine Ragdolls. My Ragdoll Kittens for sale are born and raised at my home with my family. I have seven children, five still living with me at home ages nine through eighteen. This helps give the cats and kittens an unequalled temperament and disposition. I can't stress enough how great it is that my Ragdoll Kittens and Ragdoll Cats are very well socialized with my children ranging in various ages as well as my daughter's Chihuahua (however my Sofia thinks the Chihuahua is her dog) and Standard Poodle. My family raises top quality true Genuine CFA & TICA parented Genuine Ragdoll Cats and kittens - beware of fakes and those without pedigrees and registered parents! My cats were bred from breeders with multiple generations of their family being breeders and over fifty years combined experience to bring out the best in the breed. Multiple champion bloodlines are in all my pets including but not limited to Supreme Grand Champion. 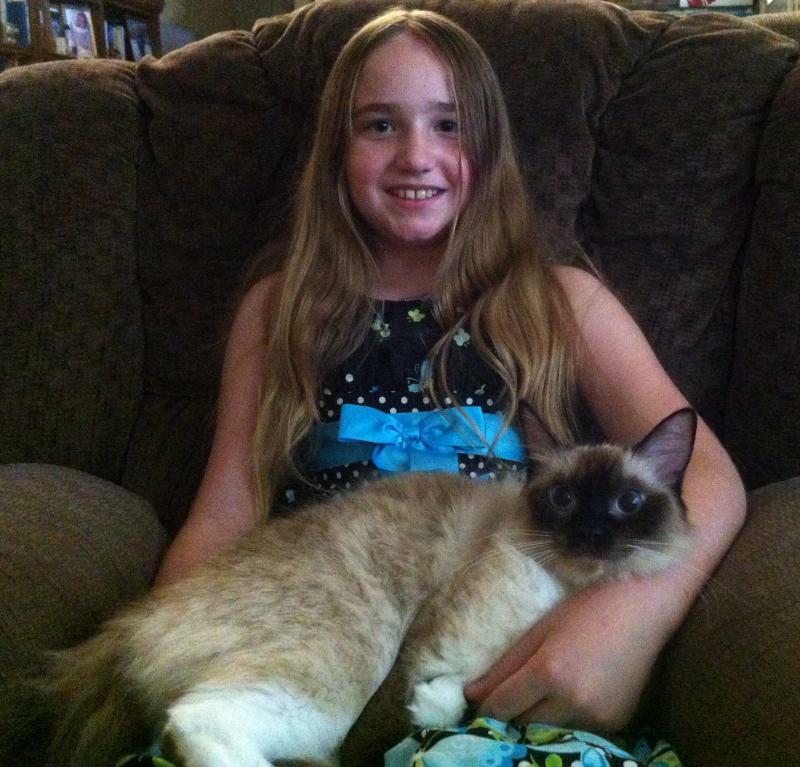 My Genuine Ragdoll Cats have had multiple genetic tests, multiple blood tests, multiple vaccinations, health certifications and my kittens will have had multiple vaccinations, ﻿multiple blood tests, and numerous health screenings with a Florida Veterinarian Health Certificate all in writing. Please click the links above and below for photos and current availability of my Ragdoll Kittens. 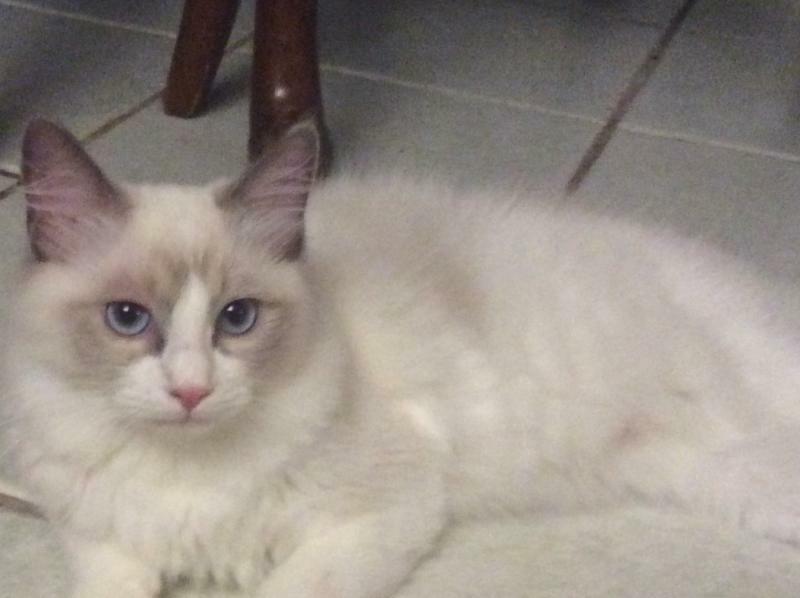 Please review the cats and kittens information and photos and contact me for more information on our available Ragdoll Cats and Ragdoll Kittens here in the beautiful lake filled Heart of Florida area to adopt your new family member! Amelia Kittens Born March 20th! NEW PHOTOS! Isabella Kittens Born March 25th! NOW ACCEPTING DEPOSITS FOR MAY KITTENS! AVAILABLE means the kitten is available to be reserved and can be adopted later. PENDING means pending a deposit/payment. RESERVED means a deposit has been receieved and the kitten is secured for someone to adopt. It is rare, but sometimes something happens and the person is not able to adopt when it is time or the pattern is not what they desire then the kitten becomes available again. You may make a backup reservation for one of the RESERVED kittens but if it's adopted then the deposit would go to your choice of one that is AVAILABLE now or a future litter.